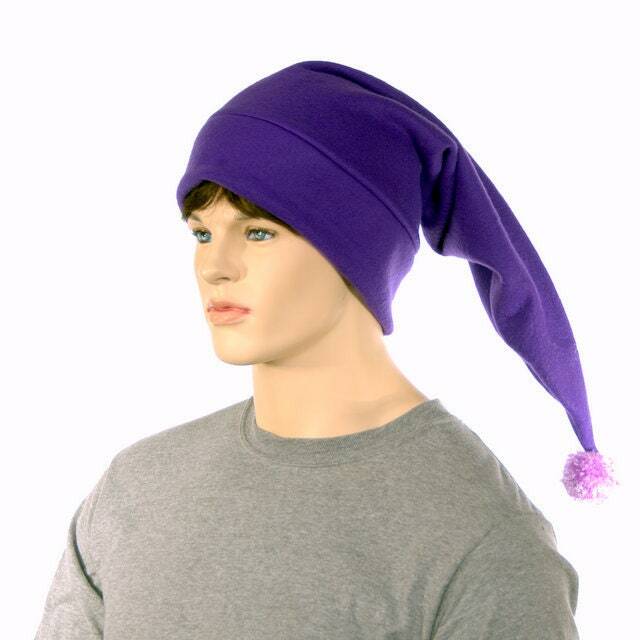 Shoulder length purple elf hat made of fleece. 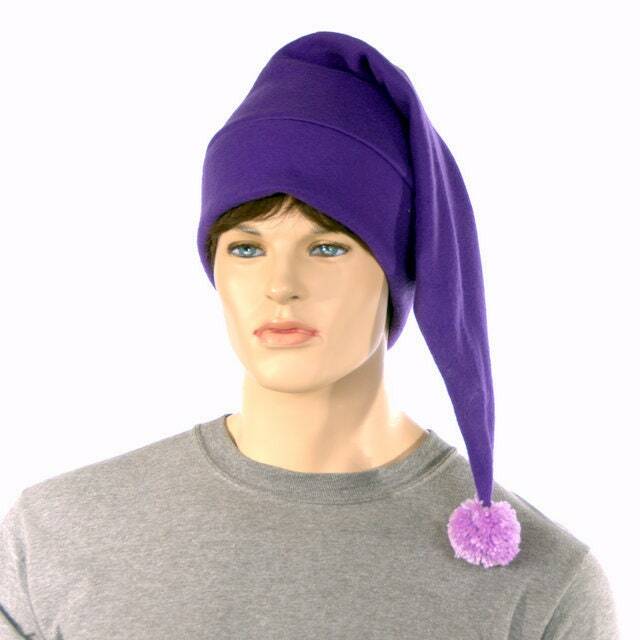 The tip of the point is finished off with a hand tied light purple pompom. Double thick headband to secure on the head better. 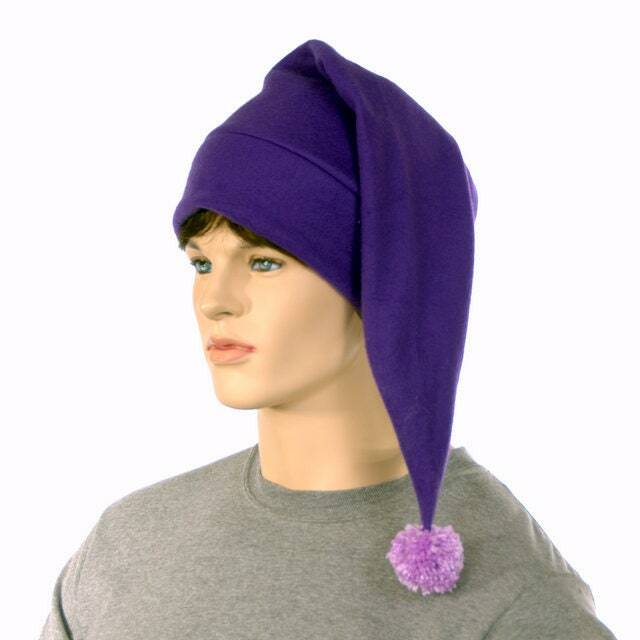 Fits heads measuring 22.5-24.5 inches. Ready to ship.